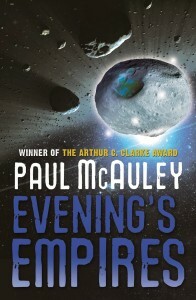 Never expect an easy read from a stylish writer such as Paul McAuley. At one time a science fiction novel was one that took the action out into space. Where it was relevant, the authors tried to stick to the known science at the time of writing but were quite happy to invent things that modern thinking doesn’t allow for such as faster than light travel. While there are still novels being written that adhere to this kind of convention – just because we don’t have it now, doesn’t mean that it is impossible – other writers have chosen to remain within the bounds of current scientific beliefs. This involves space travel remaining sub-light and the passage of time adjusted accordingly. Paul McAuley is one of these. 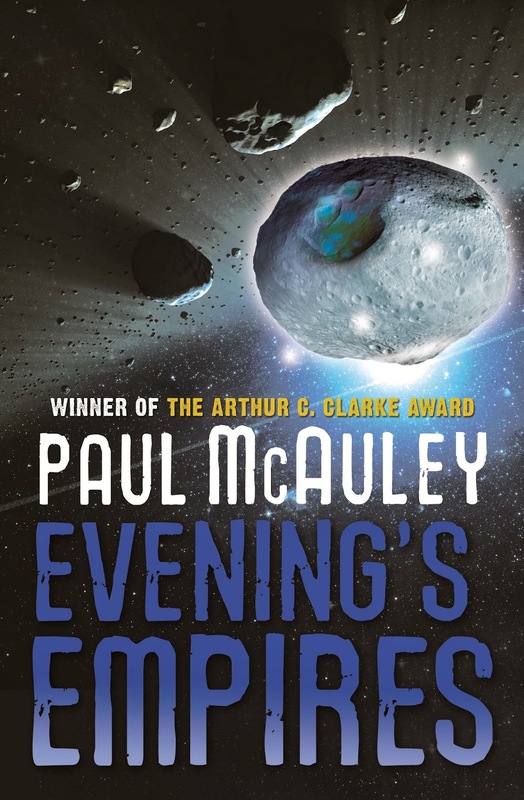 Evening’s Empires is the latest in a sequence of novels that began with The Quiet War. Then humanity was confined to the solar system but divided into two factions – the Outers who occupied the moons around the gas giants and those who looked to Earth for leadership. Technology made life sustainable away from earth and genetic engineering has produced slow growing plants capable of living in a vacuum and producing some of the refined materials needed. Centuries have passed since the initial events but one name runs throughout history; that of the gene-wizard Sri Hong-Owen. In the third book of this sequence In The Mouth of the Whale she is instrumental in producing what is refereed to as ‘The Bright Moment’ an unexplained phenomenon simultaneously transmitted to every human in which they saw the same vision – of a man on a bicycle. For some that experience was spiritual and can only be interpreted as such. To others it was a scientific phenomenon to be studied. The main character of Evening’s Empires is Gajananvihari (Hari) Pilot. His family owned a salvage ship, scavenging technology from abandoned sites and repairing and reselling it. The family structure would seem strange in our less technological society. Hari is a clone of his brother, born after his father, Aakash’s physical body was already dead. He is , however, still head of the family in that his essence was downloaded into a viron from where the electronic version can still control events. For the past two years, Aakash has sanctioned the experiments of the scientist Dr Gagarian into the Bright Moment with Hari acting as his assistant. As the novel starts, we find Hari marooned on a small asteroid after the ship was targeted by pirates. He escaped with the head of Dr Gagarian in which are stored all the files of his research. This is what the attackers seemed to after. Now, he doesn’t know what has happened to his family, only that he is being hunted. His aim is to get off the asteroid and get the head to Tannhauser Gate where their brokers would be able help him retrieve the files. The plot is a mixture of adventure as Hari faces many obstacles and twists of fortune to reach his goal, and an exploration of a future where humans have made themselves at home on asteroids adapting either the place or themselves to their adopted environment. This mini-habitats are beautifully described in ways that make the reader believe that this kind of future is actually possible. Despite all the advances we find that human nature hasn’t really changed much. There are still the greedy and the humane, the chancers and opportunists, the idealists and the ruthless, fanatics and those wishing for a quiet life. 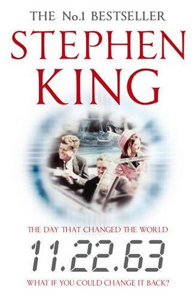 Readers without a scientific background may struggle with some of the concepts and terminology, especially if they are unfamiliar with earlier books but it is well worth persevering with as the overall novel is beautifully realised.